The Vespa sidecar was manufactured between the end of1948 and early 1949 following the success of the new 125cc engine. 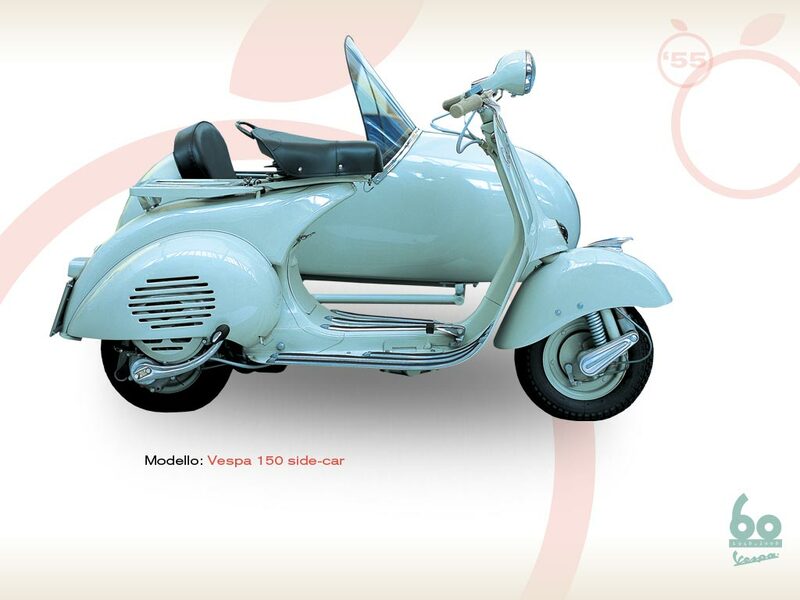 The Vespa 150 VL1 was the first to be built in this displacement, and the first were sold at the end of 1954. Studied in minute detail, the Vespa with the sidecar had one single long connecting arm with suspension and had coil springs for stability and comfort on long rides. 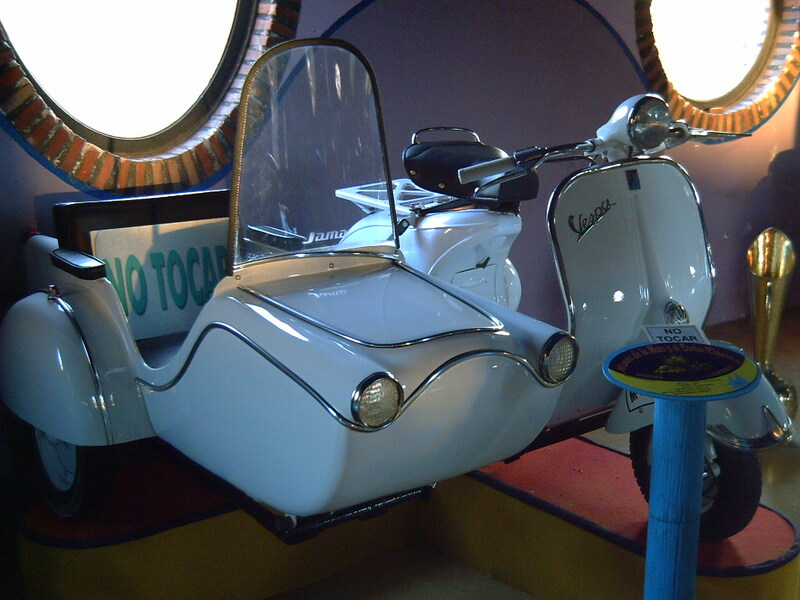 The sidecar, whose elegant, aerodynamic design was much admired, allowed the passenger to be seated comfortably, protected by a windscreen and with a small luggage space behind the back rest. The sheet metal sidecar was assembled by hand and linked to the Vespa by a single tube, a Piaggio exclusive that also envisaged the substitution of the gear change ratio to facilitate riding on sharp gradients. Praised for its excellent performance even on snow-covered terrain and sharp ascents and descents, the sidecar model met the new need for comfort with the safety and practicality traditionally associated with the Vespa name.